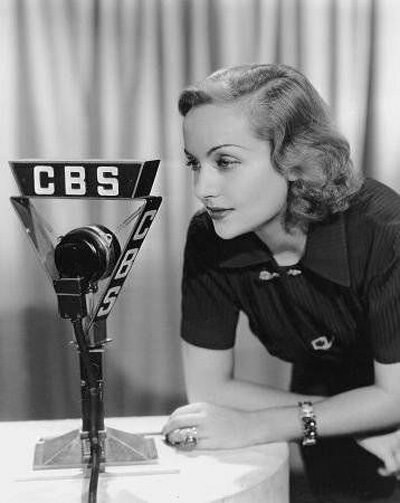 "Carole Lombard on Chase and Sand Sanborn Hour"
By rights, she should have been WWII's favored pin-up girl. Tragically, Carole Lombard became Hollywood's first victim of the Second World War. She was desperate to get home to a man she was madly in love with, but it was a love that fueled scandal and gave the gossip columnists more ammunition than they knew how to use. Yet it was a love that when lost, left one of Hollywood's most solid of leading men a hollow shell. 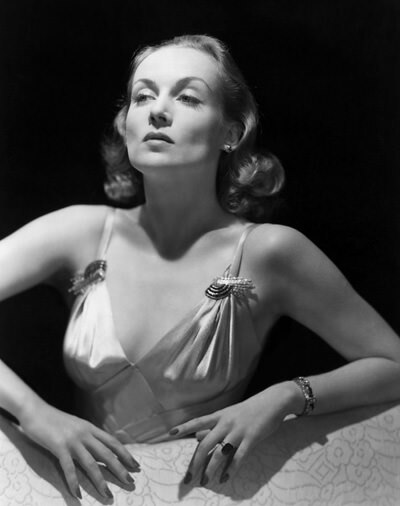 Carole Lombard was the epitome of Hollywood bombshell, but in many ways she was just a girl from Indiana. Carole was born Jane Alice Peters, in 1908, the youngest of three kids in their Fort Wayne, Indiana home. A work injury left her father unable to control his outbursts of anger; the marriage ended in divorce with Carole's mother taking the kids to live in Los Angeles. Lombard attended Virgil Jr. High and Fairfax High School. She was elected May Queen in 1924, but left high school to pursue her acting career. Her first film appearance was at the age of 12, cast as a tomboy when a director spotted her playing baseball in the street. She worked in several films through the 1920s and, unlike many starlets, made a smooth transition into talkies. Lombard met William Powell in 1930 on the sets of Man of the World (1931) and Ladies Man (1931). Powell's suave sophistication swept Carole off her feet while he was entranced by her earthy sense of humor and blunt way of looking at the world. Friends worried over the 16 year age difference between Powell and Lombard, but she was sure they could work through it and they were married in 1931. However, her friends were right, and the couple divorced in 1933. They remained close friends after the divorce, and even continued to work together in films. In 1932, Lombard appeared with Clark Gable in No Man of Her Own. After her divorce, she began sharing a house with Madalynne Fields, who became her personal secretary. Lombard became known for throwing extravagant, if unconventionally themed parties. She had relationships with Gary Cooper, George Raft and others. In 1936, she appeared with her ex-husband, William Powell in My Man Godfrey, a performance that earned a Academy Award nomination for Best Actress. Also in '36 she became reacquainted with Clark Gable. They fell in love, but Gable was married to oil heiress Ria Langham. The affair had to be kept quiet, but it proved a stumbling block to his career. Part of the deal to get Gable to come on board as Rhett Butler in Gone With The Wind was a salary increase to cover Gable's divorce. Gable proposed to Carole Lombard at the Brown Derby in March, 1939. They were married in a private ceremony later that month during a break in filming Gone With The Wind. Lombard proved to be an ideal companion for Gable. The couple bought a ranch in Encino; Lombard enjoyed riding and hunting with her husband, but was able to instantly turn on the elegant charm of a Hollywood leading lady. Lombard's career was suffering at the time. A series of highly successful screwball comedies came to a close with Fools For Scandal (1938), considered her worst film. She tried to change her fortunes with in dramatic roles, opposite James Stewart in Made For Each Other (1939), with Cary Grant in In Name Only (1940). Things began to turn around when she appeared in Alfred Hitchcock's comedy Mr. & Mrs. Smith (1941). She rode the career boost into what would be her last film, To Be Or Not To Be (1942), co starring Jack Benny. To Be Or Not To Be was intended as a satirical send up of the Nazi's and their "ridiculous philosophy". The studio was unsure how the film would be received. Principle shooting was completed before the Pearl Harbor attack. While shooting, Benny and Lombard developed a close friendship. While the film was in post production, the Pearl Harbor Attack occurred. Like the rest of the nation, Hollywood was outraged, and the movie industry began to line up to do what it could to help ensure victory. President Roosevelt was well aware of the potential economic cost of the conflict and was inspired by the success of War Bond drives during WWI. The President called upon Gable to lead one of the early bond rallies, but the star bowed out because of a fear of public speaking. But his wife Carole Lombard was willing to assume the challenge. Carole, along with her mother and Gable's press agent and close friend Otto Winkler, caught a train to her native Indiana. Marshalling all of her charm, she raised $2 million worth of War Bonds on Jan 15, in just 15 hours. Flush with success, Lombard was anxious to get back to her husband. Rather than enduring a long rail journey, and over the objections of her mother and Winkler, Carole wangled seats on an airliner heading west. At this early stage of the War, military needs had priority on air travel. Soldiers had to be bumped from the flight to make room for Lombard's party, however she argued that after raising two million dollars, she was a military priority. TWA Flight 3 landed in Las Vegas in the early evening of Jan. 17 for fuel, and took off again at 7:07. Less than half an hour later, the DC-3 crashed into a cliff on Pitosi Mountain. There were no survivors. Upon receiving the news, a devastated Clark Gable flew to the scene to help in the search and claim the bodies. Lombard's close friend and co star in her final film, Jack Benny, reportedly wanted to visit the scene of the crash, but realized that his presence would only be an added distraction. The Jack Benny Program which aired the evening of Jan 18 went on without mention of the tragedy, but also without Jack. He was too distraught to perform. Gable accompanied the bodies back to Los Angeles. Lombard had left specific instructions for her interment; there was to be a simple ceremony with just immediate family attending. Because of her contribution as Hollywood's first War death, the army offered full military honors, but Gable chose to respect Carole's wishes. A Liberty Ship, which saw action during the War and helped to rescue a number of downed pilots in the Pacific, was named in Carole Lombard's honor. 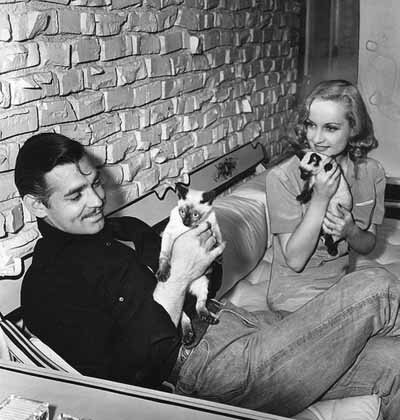 Although he married two more times, Gable chose to be buried next to Carole Lombard. 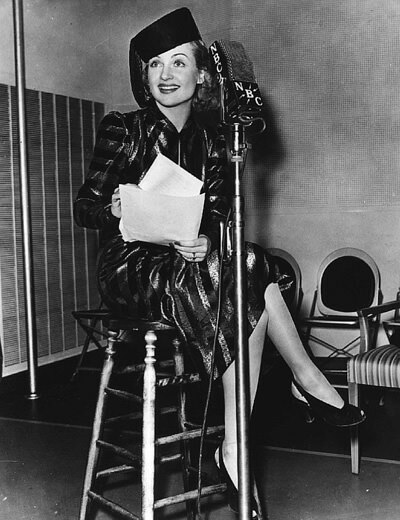 Our Carole Lombard Old Time Radio Collection includes several radio adaptations of Lombard's movies, as well as appearances on The Chase, Lux Radio Theater, Screen Guild Theater, Silver Theater, Sanbourne Hour and The Circle. She died in a plane crash while doing public service during WW2!